Welcome to WWW.ELECTRICITY.CO.ZA We are all about prepaid and helping you to create a profitable business in the prepaid arena. We will provide you with tools to sell prepaid airtime, prepaid electricity and sim cards. You can use our online vending tools or our prepaid vending terminals to start your own business. Electricity.co.za was founded to provide the consumer with easy access to prepaid electricity and prepaid airtime. It has grown to a successful platform with thousands of online users making daily use of our online prepaid electricity service and more than 5000 shop owners using our vending terminals to vend prepaid airtime and electricity throughout South Africa. 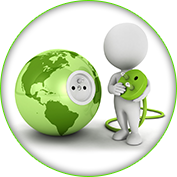 Here at electricity.co.za we are committed to provide safe, secure and efficient service. We are here to make your prepaid airtime and prepaid electricity experience as pleasant as possible. You can be sure that our friendly trained support team is always keeping your best interest at heart. We have a long successful history in the prepaid airtime and prepaid electricity arena, serving our customers with pride. We will continue to grow into the biggest vending platform online. Prepaid electricity is fast becoming the preferred method for utilities to collect payment in South Africa. Until very recent you could only buy prepaid electricity from your local council and some selected shops. This led to consumer frustration as the product was not freely available. After thorough market research and intensive technology development electricity.co.za’s online electricity solution was launched. The mission was to make prepaid electricity more available to the consumer without the trouble of leaving the comfort of your home. This is an easy to use online prepaid electricity service where you can check to see if you have any outstanding charges on your prepaid account and buy prepaid electricity by means of an EFT or deposit to our bank. 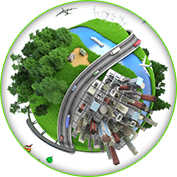 We support 95% of the municipalities in South Africa. A whole prepaid world at the tip of your fingers? ELECTRICITY.CO.ZA supports the business in a box concept. This extremely successful initiative is to empower small, medium and large entrepreneurs to starting their own prepaid airtime and prepaid electricity vending business. We provide you with all the tools to get started in no time. We are supported by the best in the business with our virtual vending technology. Our vending terminal is extremely reliable with fast voucher delivery time. You will be able to sell Vodacom, MTN, Cell-C, 8-ta, Virgin, Telkom, Neotel and prepaid electricity. Our friendly trained support team is there to assist you with any technical or accounting issues. They will guide you with good practices to help you make a successful prepaid business. CLICK HERE to go to our prepaid vending terminal page and start your own business today.